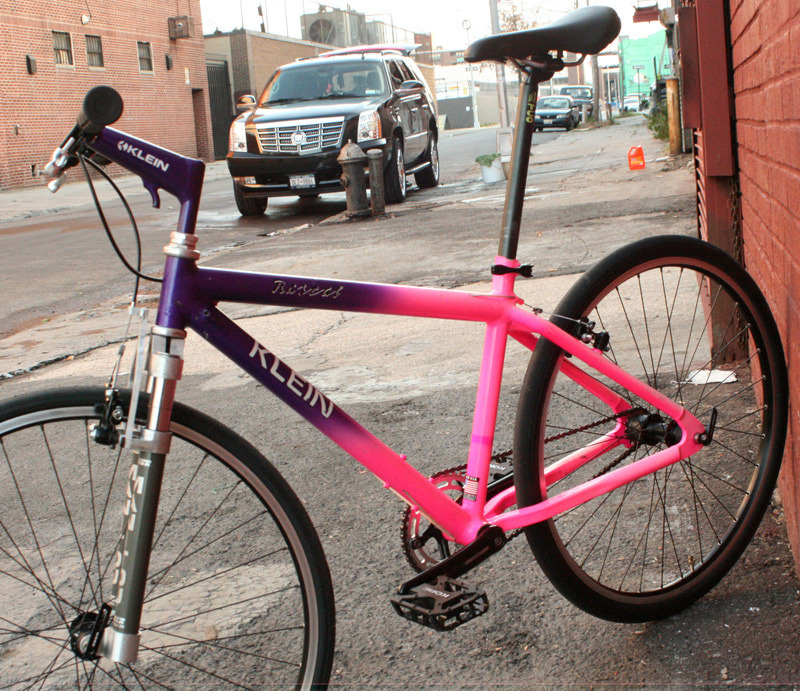 Front view of the Street Klein bMHR. 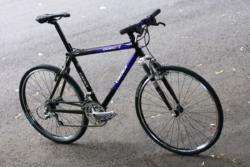 Showing the resurrected Maintou 1 fork, rebuilt with coil springs. 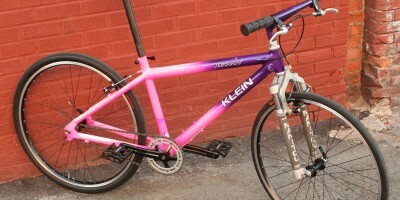 The Street Klein would also make a damn good trials bike bMHR. 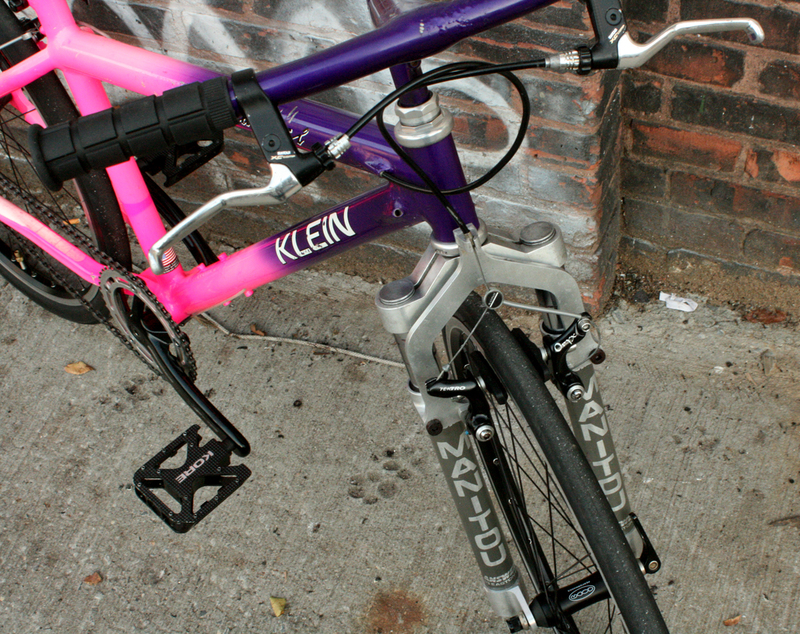 The front end of the Street Klein shows many of the brand names of components. 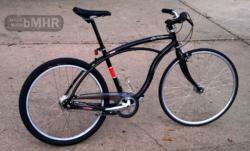 Modern Onyx brakes, dope Kore platform pedals, excellent Oury Grips. bMHR. 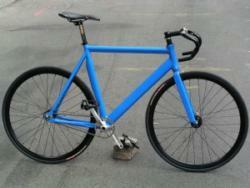 44 x 16 . . . Horizontal dropouts yo! Rebuilt Manitou II fork with coil springs, plus rubber top and bottom out bumpers. 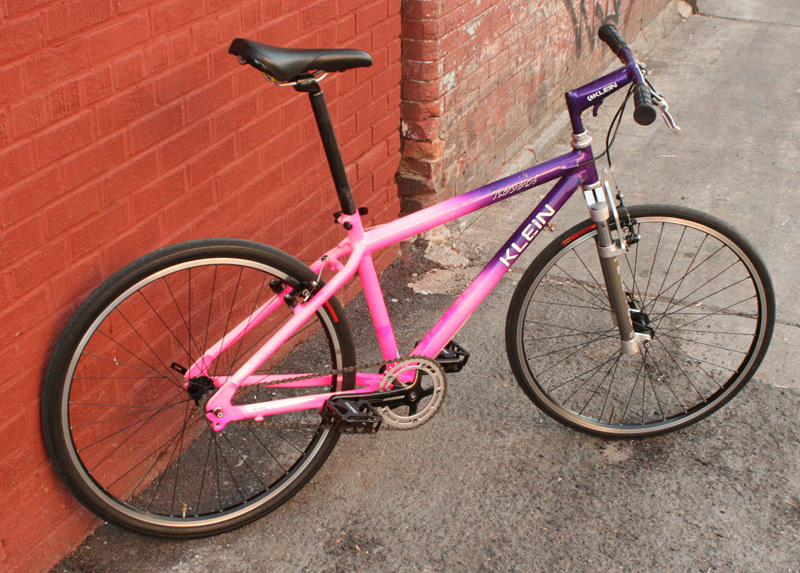 Super light, 40mm of travel is great on the street. 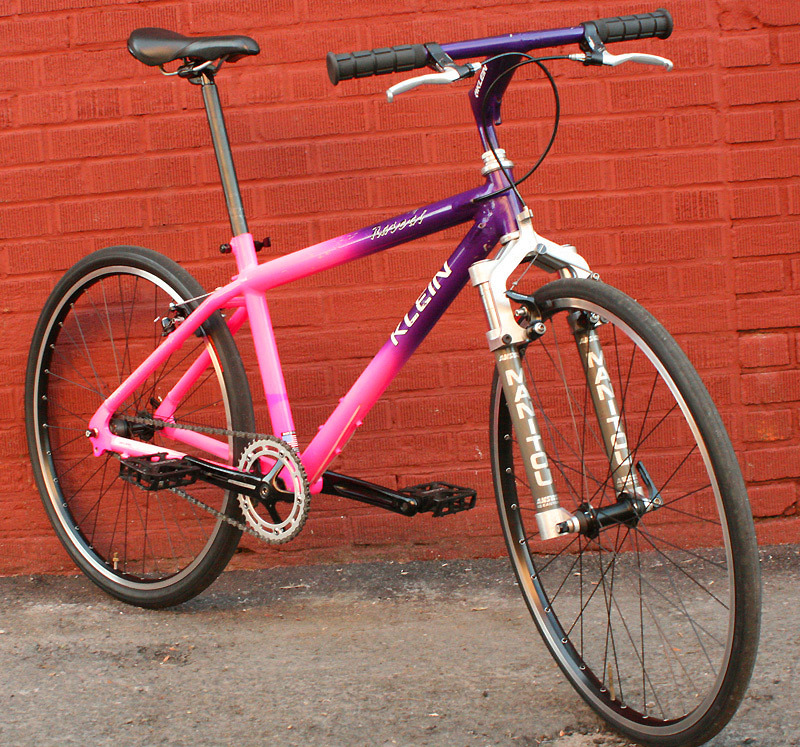 And look at the chainstay picture. 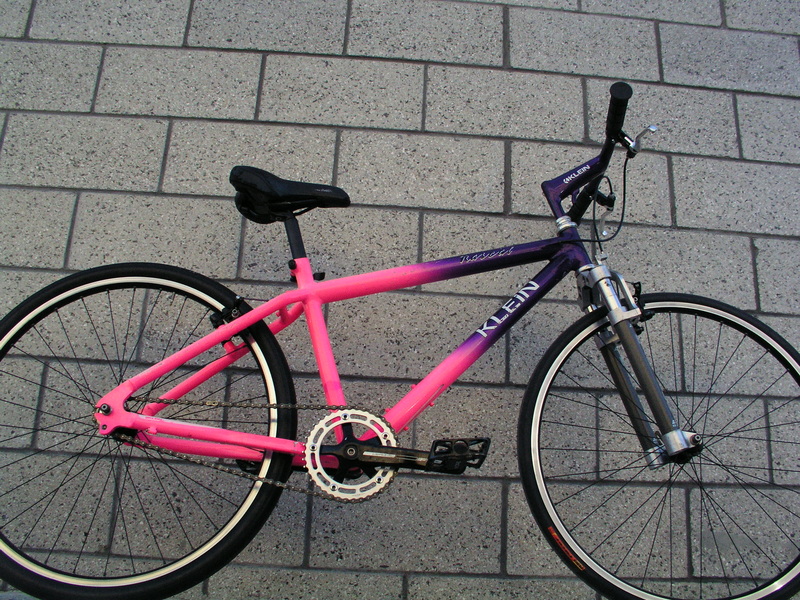 The bike must have been left out in the sun for years before I hot-rodded it. The paint got rather faded. 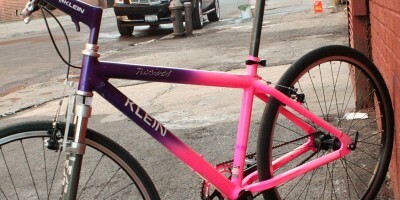 The chainstay had a transparent protector strip, which somehow accelerated the paint fade. 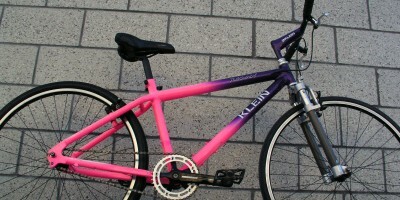 The only spot of original color was under the white printed Klein logo. Ah, archaeology. 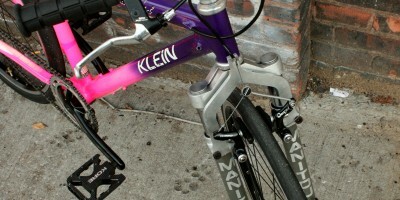 Rear end of the Street Klein showing, at bottom center of photo, logo burned into the paint from transparent chain stay protector and light erosion. 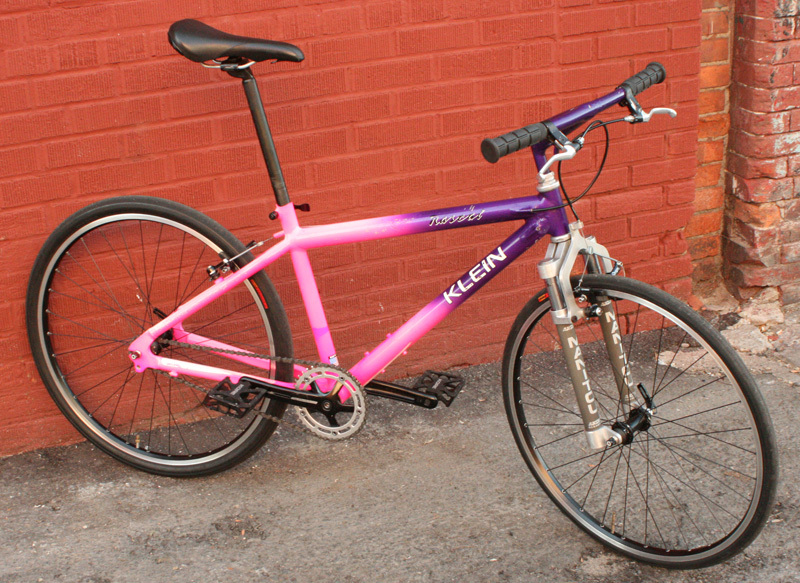 This single speed Klein conversion is great to ride in the city. Nimble. 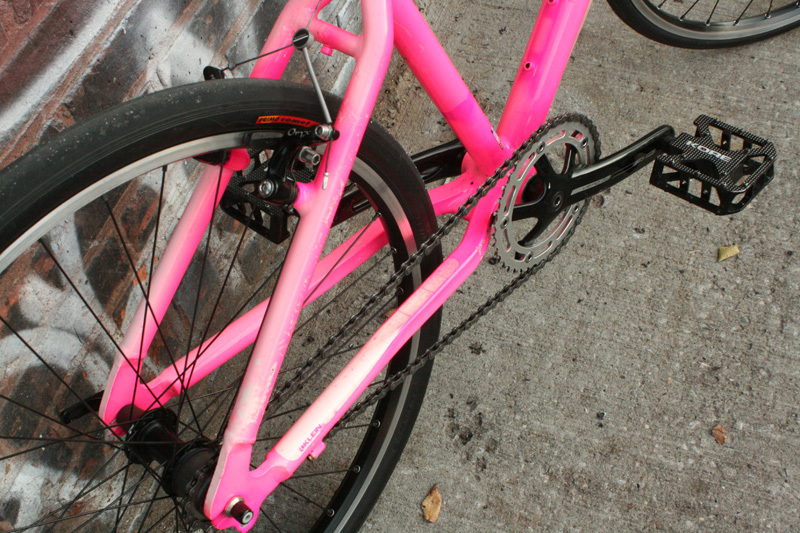 Those extra light Primo Comet tires enable acceleration. 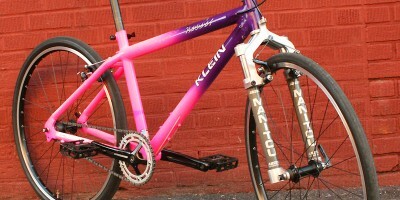 Kore platform pedals with short axle for weight saving and steel spikes allow Stomp and Go. I was a fan of your previous site, and I am enjoying exploring the new one. 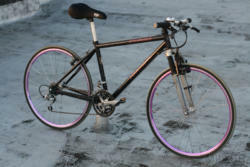 I am hoping that you can do an article on rebuilding suspension forks to your preferred performance. In particular, I am interested in the Manitou fork on this bike, as I have a VERY worn out Manitou 3 fork that I would like to rebuild with springs. 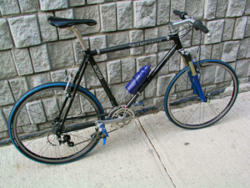 The early Manitou forks are excellent. Not as much travel as today’s downhillers, but perfect for the street. 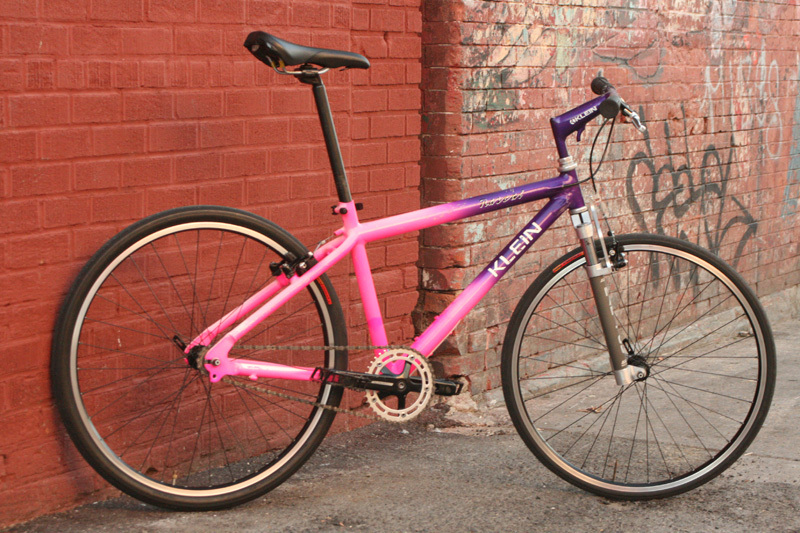 And super lightweight. I’ll make a posting with the photos I took of this rebuild. The forks are easily rebuildable if there is no lateral movement of the lowers; indicating worn bushings. The bushings are a bigger project. Replacing the elastomers with springs is good ( there are commercial kits but are unnecessarily expensive), the drawback is there is no damping. Not a terrible situation with the low travel and seal friction. I’ll get to work on that post. Thanks. 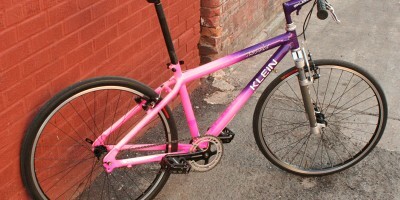 I have a Klein Performance road bike with the same paint scheme and also have some fading in the back. Sad because it’s a vivid color. 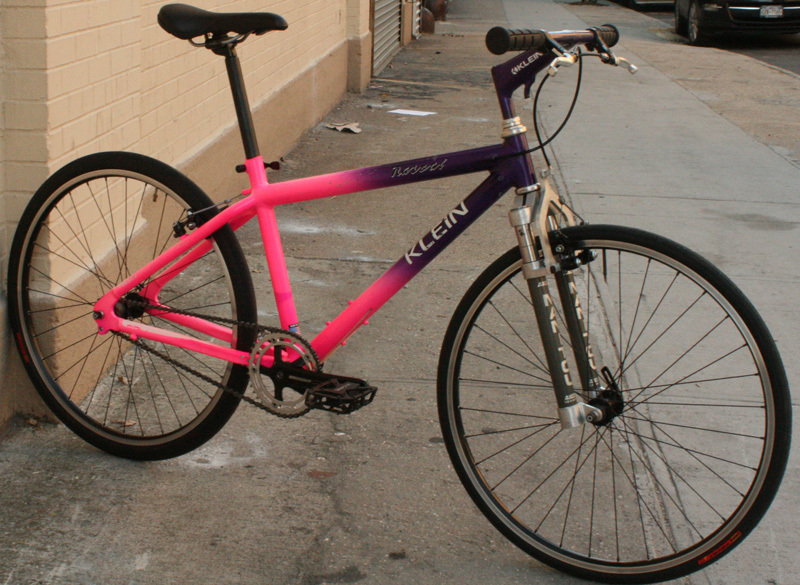 I grew to like the faded paint; this bicycle earned it. Hey, nice website at that link. 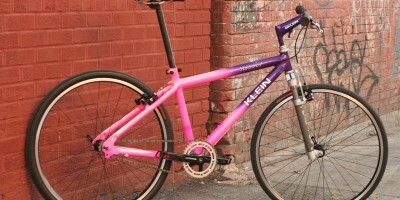 Great Klein build! Thanks.